A manufacturer owns a large, rectangular, single-level building in a North Carolina county. The manufacturing process requires lots of specialized equipment. It also requires specific electrical and plumbing service, which would be considered unnecessary to other typical manufacturing processes, including large generators built on thick concrete pads and raised flooring in sections of the building for purposes of running pipe and wire. The manufacturer runs its line in three shifts — 24 hours per day, seven days per week. In doing so, it produces valuable goods that it sells for large sums of money. Meanwhile, in the county's tax office, the division of labor is split between two groups. One group is the real property group, in charge of determining the assessed values of real property within the county. The other group is the business personal property group. In our experience, the two groups work in the same office, but they rarely get together to talk about a particular property or group of properties. So, when they turn their attention to the manufacturer's property, they do so as two separate groups on two separate teams. The real property tax assessor visits the property, notes the thick concrete pads upon which the generators are built, the raised flooring, and the heavy electrical and plumbing work. The assessor gets back to the office and inputs all of the above into its cost system, increasing the "cost new" of the building significantly over what a more standard manufacturing building might have been. The business personal property group also visits the property and notes the very same things and concludes the obvious: the heavy electrical and plumbing and the concrete pads were installed to support the business personal property. So, it considers the cost of those features as part of the installation cost of the business personal property, which it adds to the overall cost of the property on its books. Can you see what happened? Leaving aside that neither the real property group nor the business personal property group considered whether the increased cost of the specialized features would actually lead to increased value in the market, the cost of those specialized features made its way into both the building cost and the business personal property cost. As a result, those same dollars will make their way into the assessed values of both the business personal property and the real property. When the bills are issued and paid, the manufacturer will have been taxed twice on the same dollars. Double taxation. 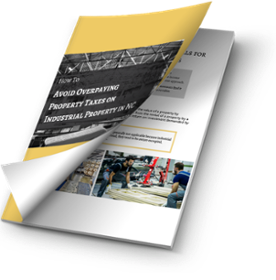 We have been involved in cases where double taxation was not discovered until deep into litigation, and it was lucky that both the real property and business personal property assessments were under appeal. In most cases, this issue goes overlooked or unsolvable since appeals were not filed regarding both assessments. Particularly in the manufacturing context, it is wise to be aware of this potential issue. In the event there is a suspicion that the aggregate assessed value of the business personal property and real property is in excess of true value, our recommendation is to file appeals on both.